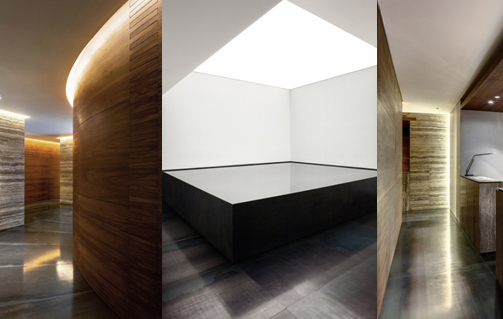 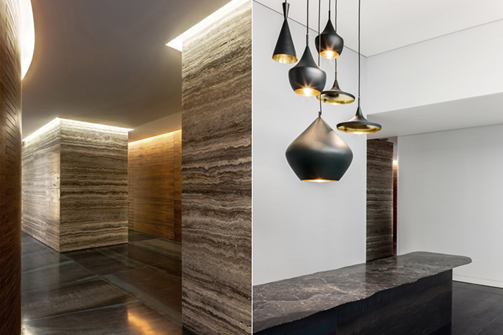 Oil is generated over millions of years so the surface materials and textures in the 780 square meter office are themed to reflect the passing of time. 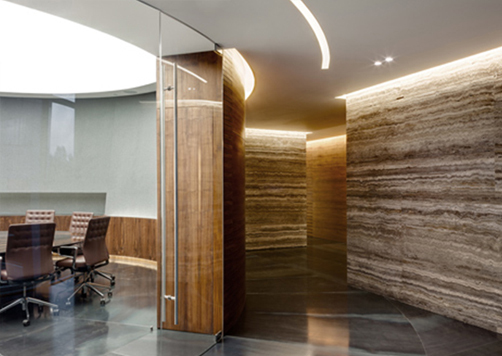 Each layer in the Iranian marble shows a period of time while the lines represent years on the walnut veneer walls. 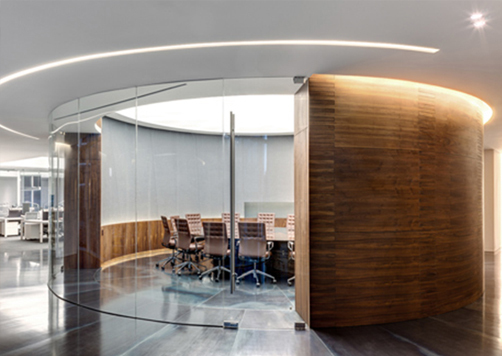 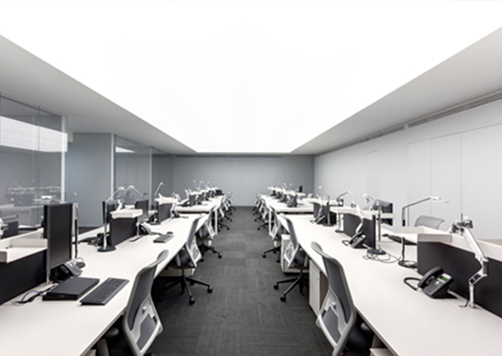 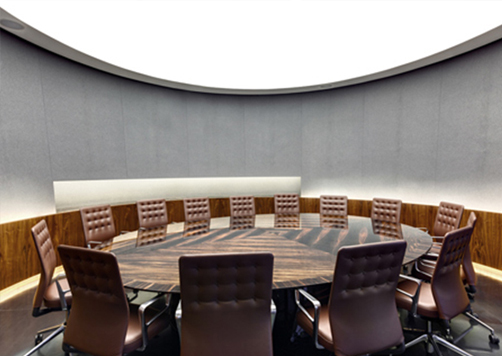 The lobby boasts a square pool of reflective oil in its centre and floors covered with metal sheeting, Directors offices reflect warm wood tonesand glossy surfaces, Workstations contrast with rows of bright white desks, and a circular boardroom is surrounded by breakout and circulation spaces. 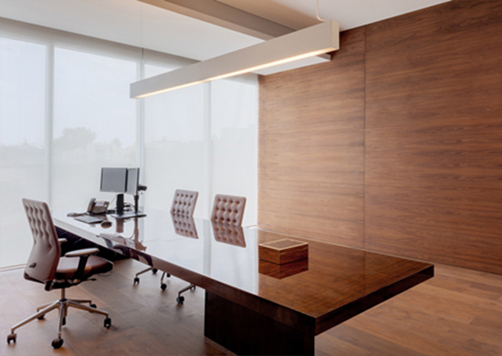 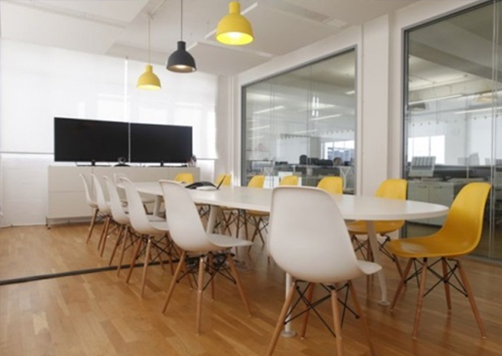 Rich natural colours and tasteful design present a beautiful working space. 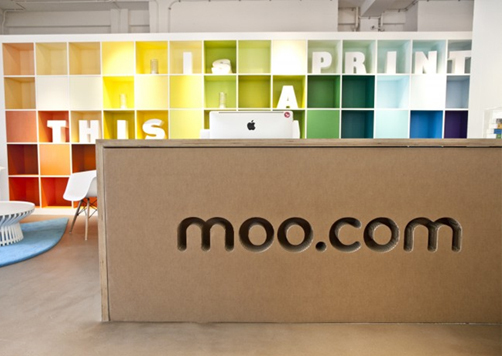 Strong use of colour helps MOO's workplace to reflect their theme "home of great design." 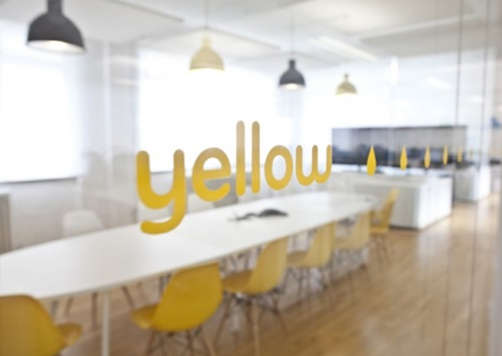 This online business card manufacturer has a reception area which combines as a showroom where staff and visitors can experience products firsthand. 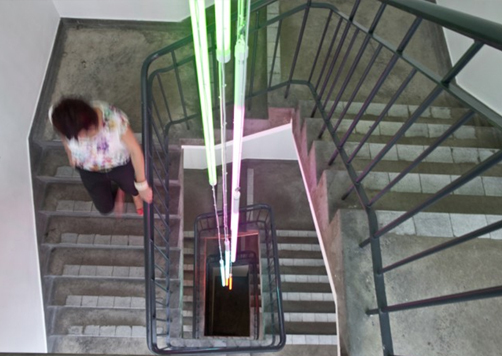 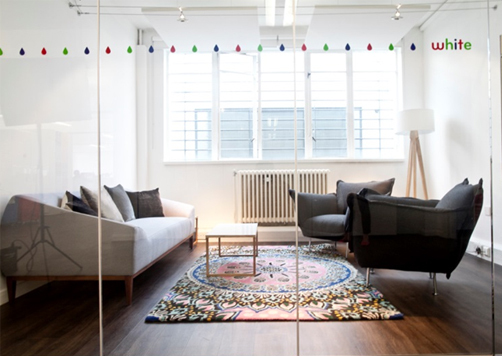 Vibrant coloured strip lighting dangles amongst the stairwell in the heart of the building and bright colourful spaces are ready for spontaneous meetings and a cafe creates a relaxed social area for both staff and clients. 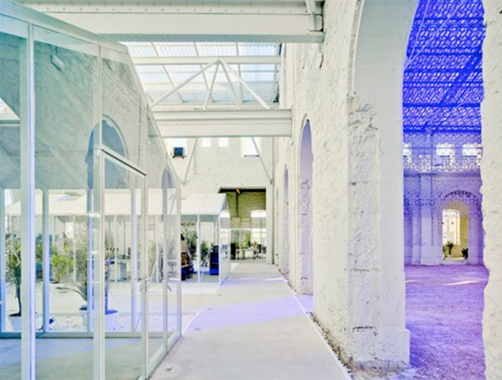 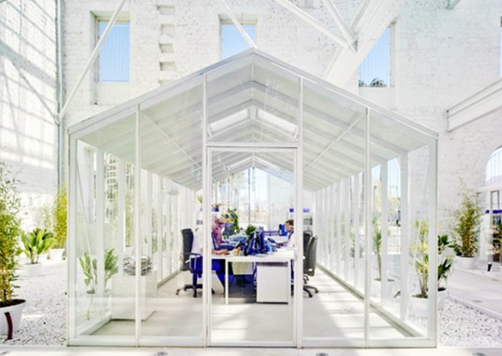 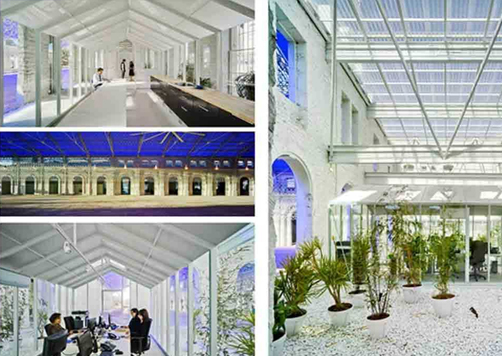 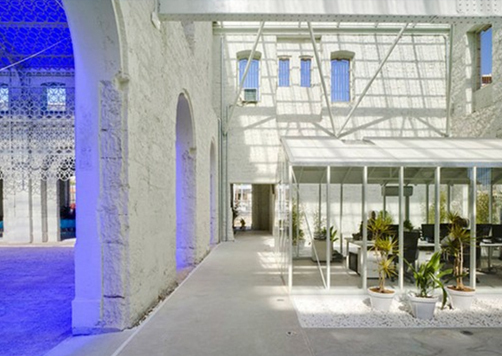 A former railroad station has been transformed into an attractive daylit office. 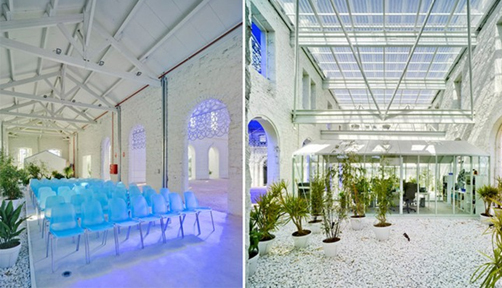 With a commitment to nurturing a common identity for Mediterranean Villages Casa Mediterraneo's headquarters provides an excellent example of how it reinvigorates old perceptions. 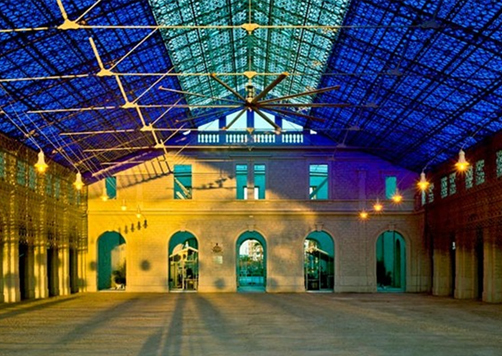 The shell of the station has been divided into separate smaller pavilions which gather round a huge 1500 square meter hall. 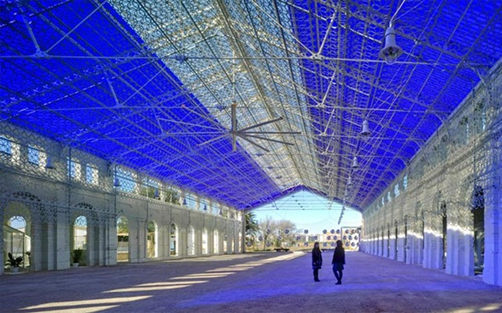 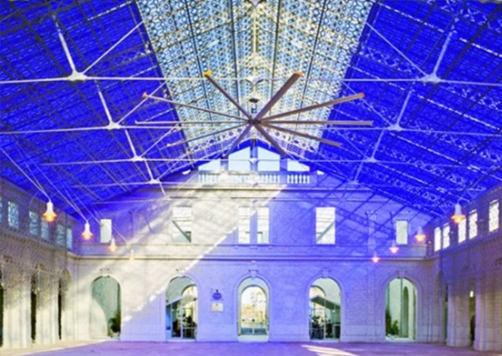 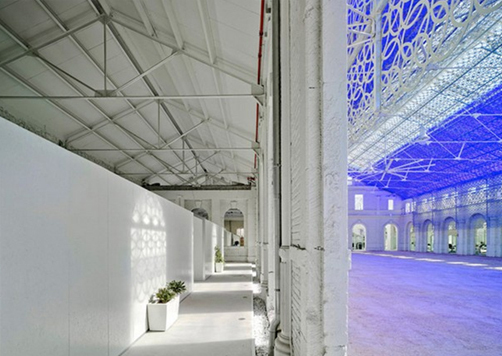 In the past the large hall was a dark place but now sunlight filters through the blue transparent roof and casts patterned shadows of the aluminium lattice work onto the floor forming a spectacular area for events, parties and exhibits.